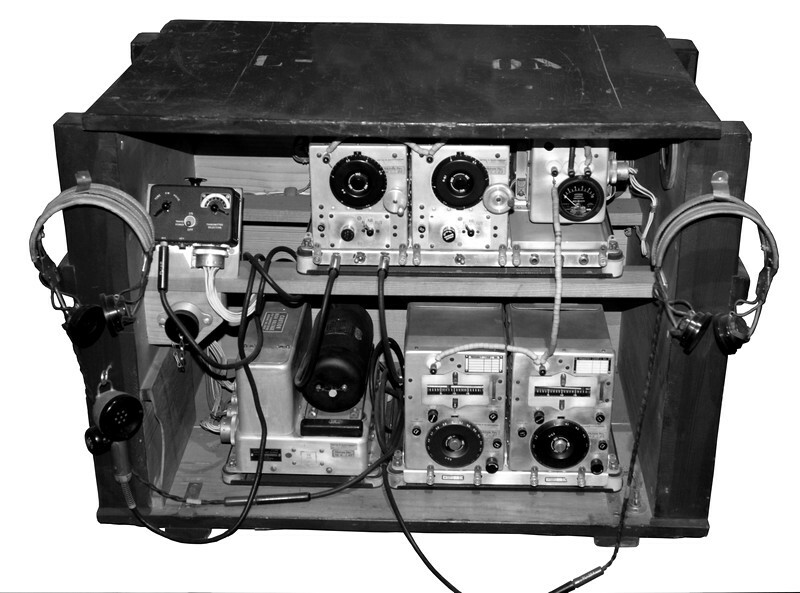 As there was a need of suitable aircraft communications shortwave equipment, technicians of the Swiss Air Force constructed an improvised field ground station from U.S.American "Command Sets" from the SCR-274-N system. The U.S.Navy introduced the ARA/ATA wireless equipment in 1940. It has a modular construction and consisted of five receivers (ARA) (one for each waveband) and five transmitters (ATA) (one for each waveband, too) and a separate power supply with a dynamotor. In 1941, the Radio Set SCR-274-N with nearly identical components with blank aluminum cases was introduced by the U.S.Army Air Corps. This system got the new designation An/ARC-5 after the JAN equipment designations (Joint Army-Navy) have been introduced by both U.S.Army and Navy in 1943. There were additional components added: fixed frequency receivers with crystal controlled channels, VHF transmitter and receiver, homing adaptor, racks and cabling. Sets from this system SCR-274-N have been in use ob board of most aircraft of the U.S.Navy, in general, they have been addressed as "Command sets". The receiver BC-454 (3-6 MHz) or BC-455 (6-9,1 MHz) is a six valve superhet: after one RF stage (12SK7) the signal is fed to the mixer stage (12K8), followed by two IF amplifier stages (12SK7/12SK7 or 12SK7/12SF7) and then a detector (12SR7, the second system of the valve is used for the BFO) and at last the AF output stage NF-Stufe (12A6). A dynamotor DM-32 is mounted at the rear of the set to generate the plate coltages. In the transmitter BC-457-A (4 - 5,3 MHz) and the technically very similar BC-458-A	(5,3 - 7 MHz), a valve 1626 is used as oscillator, two valves 1625 are used in the RF output stage and a magic eye tube 1629 to control RF output and for dial calibration by means of a plug in crystal in resonance. This valve is located in the rear part of the receiver and can be observed via a mirror, visible when the hinged cover in the back part is liftet up - a quite peculiar arrangement. The transmitter is powered by a dynamotor DM-33-A (DY-8/ARC-5) located on top of the Modulator Unit BC-456 (MD-7/ARC-5). All components of the SCR-274-N have been taken out of U.S. bomber aircrafts B-17 who had performed an emergency landing in neutral Switzerland. The sets have been installed in a huge wooden crate to construct an improvised ground station, this got the Swiss designation SE-219 or L-Station. The equipment was in use from 1945 until 1954. I would be very thankful for further information and images from field use.